Complete hotfill line for juices. INDEX-6 delivered and put into operation a complete hotfill line for juices at the leading Bulgarian producer of natural juices – company BBB. 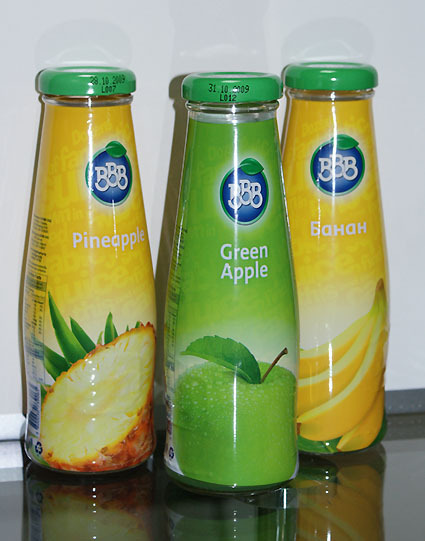 The products are filled in glass bottles with Twist-Off closure. The line is with capacity of 8000 bph at 0,25 l and includes bottles rinsing and hot filling using IND-Dose 48 RP 16, Twist-off capping using IND-Close 12, pasteurizing with a tunnel pasturizer, labeling with a paper label or a thermo shrinkable label using IND-Lab 38 and group packing in thermo-shrinkable foil with cardboard pad using IND-Pack 29 T.